As Lucy Muchelney watches her ex-lover’s sham of a wedding, she wishes herself anywhere else. It isn’t until she finds a letter from the Countess of Moth, looking for someone to translate a groundbreaking French astronomy text, that she knows where to go. Showing up at the Countess’ London home, she hoped to find a challenge, not a woman who takes her breath away. Catherine St Day looks forward to a quiet widowhood once her late husband’s scientific legacy is fulfilled. She expected to hand off the translation and wash her hands of the project—instead, she is intrigued by the young woman who turns up at her door, begging to be allowed to do the work, and she agrees to let Lucy stay. But as Catherine finds herself longing for Lucy, everything she believes about herself and her life is tested. While Lucy spends her days interpreting the complicated French text, she spends her nights falling in love with the alluring Catherine. But sabotage and old wounds threaten to sever the threads that bind them. 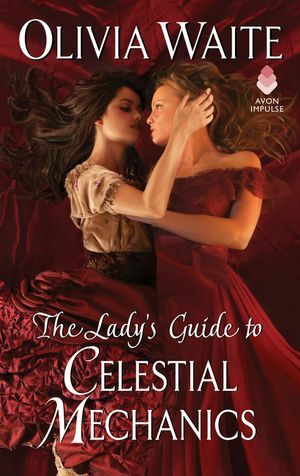 Can Lucy and Catherine find the strength to stay together or are they doomed to be star-crossed lovers?